ROOT device for Android phones. 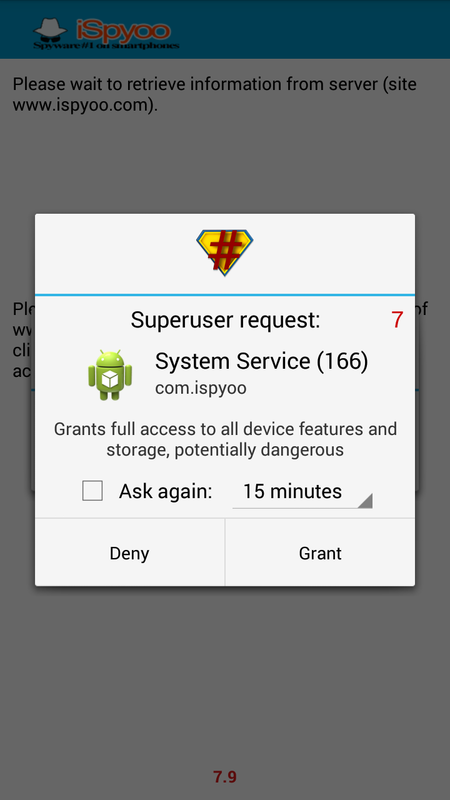 You must Grant access SuperUser for iSpyoo, when installing iSpyoo(System Service) on Target Mobile Phone. How Can I Know if My Android Phone Is Rooted Or Not ? This question may seem simple but when buying used phones for example, the answer isn’t necessarily obvious. Here is how to figure out if your Android has been rooted. On most device, whether a smartphone or tablet, the boot screen will usually let you know if the system has been modified, if the bootloader was unlocked etc. But to know if you actually have root access, the simplest way is by installing an app called Root Checker or equivalent. Apps of this type are easy to use: simply install, open the application and press on the button which says verify root access. If an app like SuperUser (SuperSU, SU etc) has been installed, a message will be displayed asking if you would like to allow Root Checker to gain access to your root access. Please note that the presence of the SuperSU app on your device doesn’t guarantee that your smartphone or tablet has been rooted. We offer more Q & A’s about rooting and custom ROMS as well as an even simpler rooting for beginners. Shunday, Does My Android Have Root Access? 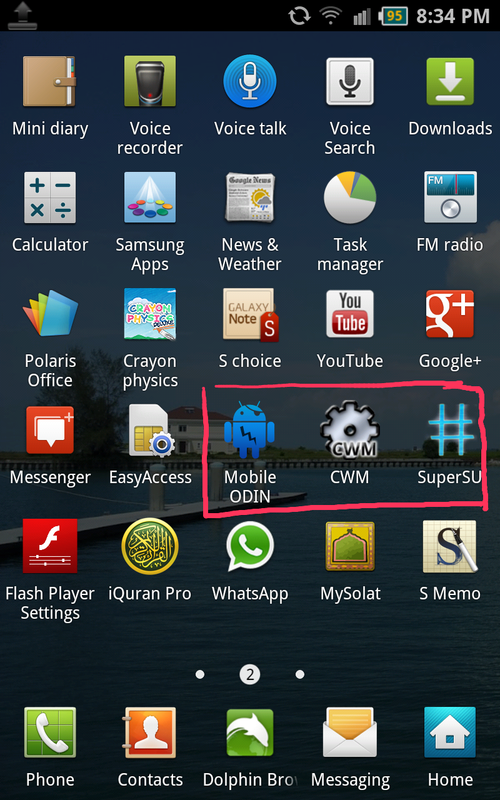 In the process of rooting the Android, an application called “SuperUser” or “SU” is often (but not always) installed. This is the program that will determine if certain “superuser” commands are allowed to be used. If you see a superuser program installed, then it is most likely rooted. 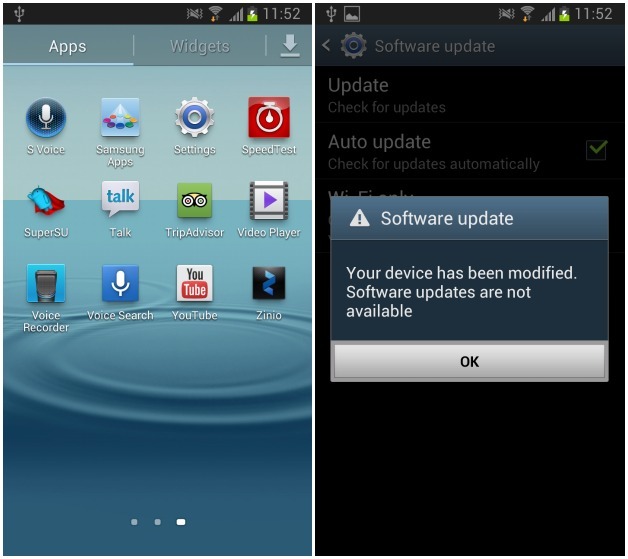 if you’re still unsure, you will want to use an app to verify if the phone has root access. 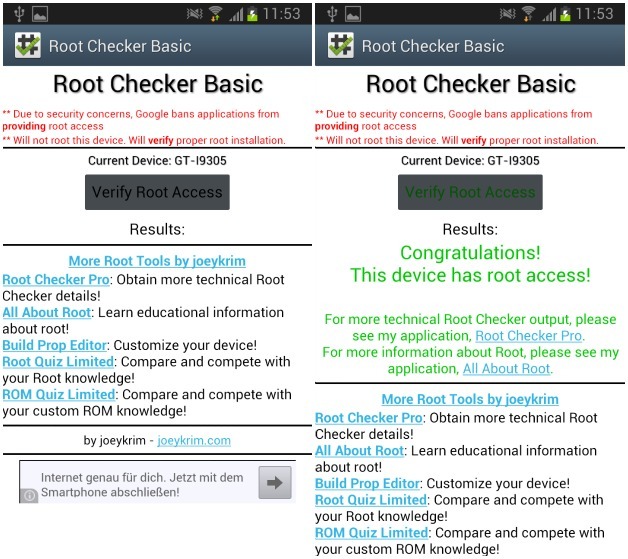 Root Checker Basic is a free app from the Play Store or app market that will tell you whether or not the phone has root access. You can find more information to ROOT device at XDA forum. If you are interested in rooting your device, here are the top apps to root your smartphone or tablet.